Professional Carpet Spot & Stain Removal services in Sydney, Melbourne, Brisbane, Gold Coast, Perth, Canberra, Hobart & Adelaide. We can help you remove blood, butter, margarine, candle wax, ketchup & Tomato sauce, chocolate, coffee, crayon, food coloring, furniture stain, grass, ink, jam, jelly, lipstick, mildew, mud, mustard, nail polish, paint, shoe polish, urine, vomit, wine stains & more! Nothing protects the carpets more than a professional cleaning by AllCarpets! With us your carpet is cleaned in accordance to the industry standards. A healthy home or office starts from the ground up with a clean carpet! 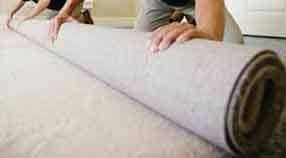 All Carpets Cleaning & Repairs offer a complete Carpet Repairs service . 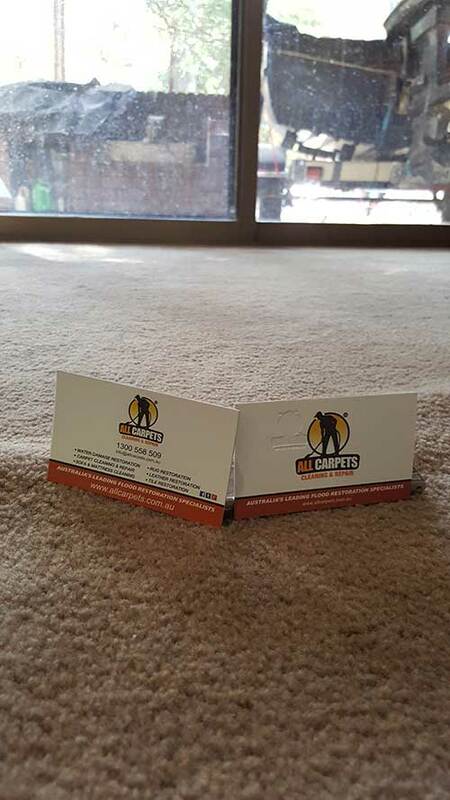 We deliver a quality service at affordable prices to all potential new clients interested in our Carpet Repair services and have developed a strong reputation amongst the community for providing a high quality Carpet Repairs service at competitive prices, and no job is too big or small for us. 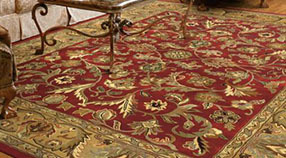 At All Carpets we are committed to the highest quality products and services . Our promise to you is to make sure when we apply stain protector to your carpet or upholstery, you are getting the protection from stains that you would expect! At All-Carpets, we specialize in restoring the beauty, vitality and original freshness of all your upholstered furniture. We use state-of-the-art cleaning materials that can safely and effectively wash even your most delicate upholstery including Haitian Cotton, Wool, Velvet and many other fabrics, including white and off-white fabrics that some conventional cleaners refuse to touch. Most upholstery should be professionally cleaned once every 18-24 months to avid soil build up and staining. How long will it take for my upholstery to dry after cleaning ? Drying times vary depending on the fabric of your upholstery. Most upholstery will dry within 2 - 4 hours after cleaning. What cleaning method is best for upholstery ? Most upholstery can be safely and effectively cleaned by steam or extraction cleaning. 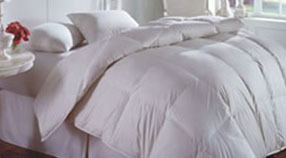 Some fabrics are susceptible to colour migration or are too delicate for extraction cleaning. These fabrics have to be cleaned by "dry" or "low moisture" cleaning methods. What are the fabrics that need delicate treatment. Should I remove cushion covers for upholstery cleaning? No. Covers should stay on the cushion so that they keep their form. Can upholstery be treated with a stain retardant ? Can I scotch guard my suede, plastic or vinyl furniture? No, scotch guarding is not recommended for these fabrics. Why should I invest in cleaning my upholstery ? You will restore the elegant beauty of your favourite upholstered furniture pieces. See it richly textured and coloured once again add a compliment to your good taste. How do you know if the colour of my upholstered item will remain intact ? We will test a small patch of your upholstery to make sure that fabric and colour remain intact before we start the job, taking into consideration factors such as colour fastness and dimensional steadiness -we want to be 100% positive you'll be delighted with the results. Should I do anything to prepare my upholstery for cleaning ? Our upholstery steam cleaning service includes stain and odor removal, Mold and dust removal, Special treatments, including the use of enzymatic, ozone, and tea tree solutions Drapery, and it's all done onsite! Will cleaning my upholstery reduce allergens ? The cleaning process Disinfects, Deodorises and Sanitises with 100% green environmentally safe products. Your Family and Pets are safe, but more importantly, they can breathe easier with reduced allergens, bacteria and dust mites in the home. When is upholstery cleaning recommended ? Upholstery Cleaning should be done on an annual basis or as frequently as needed. When possible the alternating between Upholstery cleaning and Dry Upholstery cleaning will promote longevity and maintain the fresh look of new furniture. What is the difference between steam upholstery cleaning and dry upholstery cleaning ? 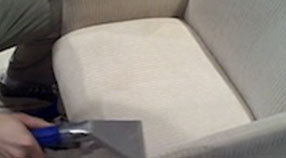 The main difference between steam Upholstery Cleaning and Dry Upholstery Cleaning is the drying time. steam Upholstery Cleaning drying times are significantly longer than Dry Upholstery Cleaning but when it comes to heavy soiled upholstery or upholstery affect by malodors, like urine or mildew, Dry Upholstery Cleaning is not the best option. In these cases, steam Upholstery cleaning is king. We clean Chairs, Ottoman, Sofas, Recliners, Dining Leather Furniture, Armed Chairs, Chaise Lounges and all types of upholstery furniture. Do you provide any other Upholstery Cleaning related service? Can I clean my own upholstery ? You can clean it yourself but it is not recommended. Most manufactures recommend an experienced professional to clean your upholstery. We are familiar with fabric types and colour fast status to give you the best possible results. If you clean it yourself you run a serious risk of damaging the fabric or the colour. I have silk upholstery can you clean it? Yes, Silk is a protein fiber, and therefore shares a number of similarities with the more commonly known protein fiber, wool. Silk acts like wool during a burn test; it smells like burning hair and will rarely support combustion once the test flame is removed. You will rarely need to test for silk, as most customers who have invested in silk will know what they paid for and inform you accordingly! Some cleaning related characteristics of silk are: - ABSORBENCY: Silk isn't quite as absorbent as wool; nevertheless it does absorb enough moisture and liquid spills to make spotting challenging and drying time after cleaning slower than synthetic fibers. - CHEMICAL SENSITIVITY: Like wool, silk is dissolved by chlorine bleach and harmed by high alkaline cleaning agents. If the fabric is not sensitive to water based solutions, be certain to keep the pH range between 5.5 and 8, just as you would with wool fabrics. Silk has an additional chemical sensitivity that you should be aware of. Silk is both discolored and weakened by salt. Perspiration contains enough salt to yellow the fabric permanently and eventually cause it to split. If you agitate the fabric in heavily soiled areas you may cause this weakened fabric to tear or split. And you may be held liable for the damage! - WATER SOLUBLE SIZING: Many silk fabrics are treated with sizing to give them "body" and to aid in the manufacturing process. If these sizings are water soluble, the fabric may show water marks after cleaning that could be difficult, if not impossible to remove. 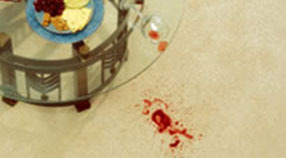 Spills, especially from alcoholic beverages, may also leave permanent water marks. If you detect the presence of water soluble sizing, it is better to dry clean the fabric. Yes we do have a minim charge , you can see out price list on the bottom of the page for more information on pricing . You can pay by cash, credit or debit card upon completion of the work, and you should receive an invoice. It all depends on out schedule, sometime we can do same day cleaning!? Just fill out our fast and easy online form and we will get back to you with confirmation of your desired time. How many cleaners can I expect and how long does it take ? Usually our cleaning teams consist of one or two technicians this may change depending on the size of the property or how many objects you need to be cleaned. Our office staff can give you an idea of how long you can expect it to take and when the supervisor has done an assessment they can then give you a better more realistic idea then what we can give you online. What steps will you take to assure a safe and effective upholstery cleaning? There are many stepes we take to assure we give you the best possible clean. We will first and formats determine the state of the fabric by checking out for splits, tears, loose buttoning, loose fringing, zips, dirt levels, covering soiling, spots and stains. Then we will assess the fabric type by checking it out for construction details and testing the fabric itself doing a burn test on an individual fibber taken from the item. After that we will analyse the dye structure and finish by doing a dye test on a concealed part of the fabric. In cases of deep coloured cotton fabrics, we can also check for colour stability on a worn spot. When the fabric is tested for everything and we are familiar with the fabric we are working with out professional upholstery team cleaners will begin with an intensive vacuum to remove surface dust, soiling, hairs, foodstuff spills etc. Then a cleaning solution will be sprayed on to the ousted of the fabric and carefully agitated in order to loosen the soiling. We will only treat your upholstery with the appropriate spotting solutions and treatments. In water tolerant fabrics the soiling will likely be extracted wit hot water extraction. 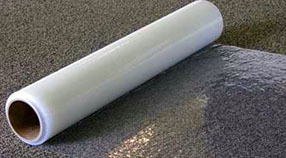 In water vulnerable materials, the soiling will probably be removed utilising a solvent removal process. Finally a protection treatment will be put on to help extend the fabric life and also protect against the consequences of spills. Lastly the cloth will be permitted to air dry, aided by turbo dryers and also towling to quicken drying. All-Carpets provides commercial mattress cleaning and residential mattress cleaning involving the removal of indoor allergens including dust mites, mold, mildew, pollen, spores, fungi, bacteria and viruses. No other service can offer the same level of cleanliness and hygiene we can. AllCarpets.com.au provides a comprehensive leather cleaning service. This is a safe, no mess - no fuss service where a leather cleanser is applied to remove all traces of soiling from the surface of the leather hide. At AllCarpets we understand the end of lease cleaning process very well and do dozens of End Of Lease Cleaning jobs a week, as a result we know what Real Estate agents and Land Lords look for when inspecting their properties. So we guarantee the very best! Do All Carpets sell or supply carpet tile? 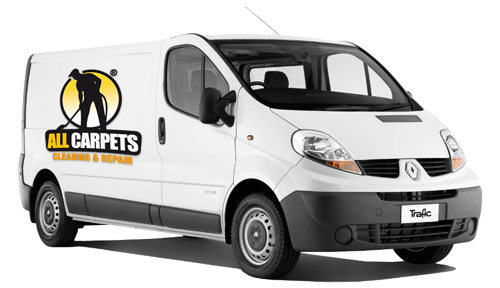 No, we do not sell or supply carpets but we are very experienced and dedicated to quality carpet installations, carpet repairs, superb carpet cleaning, beautiful carpet restoration and above all we are highly motivated by customer satisfaction. How long will it take you to fit my carpet tiles? This will of course depend on the size of the area we are working installing the carpet tiles. If you have any questions or would like a quote, call us anytime or simply fill out our quick and easy online form. What kind of preparation is required prior to installing carpet tiles? Please ensure the surface is smooth and clean as much as possible. 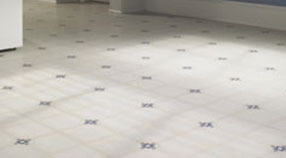 Sweep the floor and remove any nails or stones that may be protruding. Use a vacuum cleaner if needed and please ensure the area is clean and debris free. If this is not possible please inform us prior to your installation time. Can All Carpets install used carpet tiles? We can absolutely fit your used carpet. 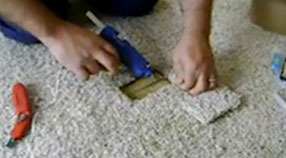 Many carpet fitters will only install new carpets. The All Carpets team are happy to install your used carpet tiles. Is the size of the area important? Yes, as we will need to be aware of the area size prior to installing carpet tiles, and no, as we are more than happy to complete small, medium, and large carpet installation projects. Can All Carpets remove and replace existing carpet from one area to another? What types of buildings do All Carpets install carpet tiles? The All Carpets carpet tile installation team work in all types of buildings including homes, offices, stores, restaurants, hotels & offices, schools and hospitals, shopping centres, apartments, factories, doctor surgeries and domestic locations. Can All Carpets install my carpet tiles after business hours? We are able to work evenings and weekends to avoid disturbing customers or employees when installing carpet tiles in commercial spaces. Can you help move my furniture? All Carpets are more than happy to move items that one person could be expected to move such as furniture with wheels, light furniture, tables and chairs, however, we will not be held liable for any damage caused to furniture or property you request our technicians to move. Can I walk on the carpet tiles immediately following installation? Yes, you will be able to replace furniture and walk on the carpet immediately following installation. Can All Carpets fit carpet tiles in large commercial areas? Yes, we are able to complete all jobs, no matter how big or small. We have worked with many large commercial spaces and have years of experience refitting carpets in large areas. Do I need to be onsite the day on installation? No, you do not need to be home, however please communicate with us beforehand and ensure you remain contactable while the installation is taking place. All Carpets provide a comprehensive carpet fitting service, tailored to match your requirements. The carpets in your home or office are a major investment and carpet installation is a skill developed through years of experience. 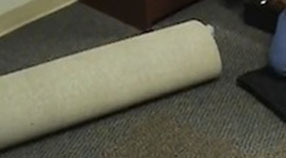 If you want expert carpet laying or carpet repairs, it's worth talking to the professionals. Do All Carpets sell or supply carpet? No, we do not sell or supply carpets, but we are very experienced and dedicated to high quality carpet installations, carpet repairs, superb carpet cleaning, beautiful carpet restoration and above all we are highly motivated by customer satisfaction. This will of course depend on the size of the project we are laying the carpet. If your room is just one square room without any odd-shaped walls or other issues, installing your carpet in a day or less is feasible. If your room has a special shape, it can require a few more hours, however no more than a day. If you have any questions or would like a quote, call us anytime or simply fill out our quick and easy online form. 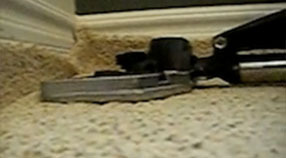 What kind of preparation is required prior to laying carpet? Please ensure the surface is clean as much as possible. Sweep the floor and remove any nails or stones that may be protruding. Use a vacuum cleaner if needed and please ensure the area is clean and debris free. If this is not possible please inform us prior to installation time. Can All Carpets install used carpet? We can absolutely fit your used carpet. Many carpet fitters will only install new carpets. The All Carpets team are happy to install used carpet. Yes, we will need to be aware of the area size prior to laying the carpet, and no, as we are more than happy to complete small, medium, and large carpet installation projects. In which types of premises will All Carpets install carpet? The All Carpets team lay carpet in all types of buildings including homes, offices, stores, restaurants, hotels & offices, schools and hospitals, shopping centres, apartments, factories, doctor surgeries and domestic locations. Can All Carpets install my carpet after business hours? We are able to work evenings and weekends to avoid disturbing customers or employees when laying carpet in commercial spaces. Can I walk on the carpet immediately following installation? Can All Carpets lay carpet in large commercial areas? 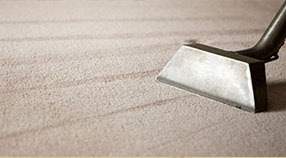 From All-Carpets you can expect first class cleaning and excellent service provided by people who really care. Our highly trained technicians use wet and dry extraction methods on carpets, curtains, rugs, and upholstery. How many people will be cleaning my house or business? We send teams of two highly trained professional employees. Do you background check you workers? Yes, all of our technicians are background checked. They are hand-picked and expertly trained in all aspects of their work. Do you safely train your staff? Yes. We implement and enforce a Safety Program that teaches our employees to work safely and minimise injuries and accidents and avoid damage to clients property. Yes all of our staff wear matching professional uniforms . Does ALL CARPETS comply with all laws? Yes. We comply with all local, provincial and federal laws, rules and regulations relating to licensing, marketing ethics, employment practices and workers rights. This does add cost to our prices and not all companies follow all the rules. Usually when a company offers you very low prices, it is the workers who are paying the price! Do you use a quality control check list at the end of every job? Yes. Before we leave your home, our Team Leader goes through every room in your house and ensures that everything has been done properly according to your cleaning plan. What if I want something done that is not on your check-list? Just ask! We pride ourselves on being accommodating to you. So long as we are able to do the job (have the right tools and training), we would be glad to schedule in extra work at your home. Please discuss your requirements at least 48 hours prior to the visit so that we can allot any additional requirements. We may be unable to complete any shorter term requests. How can I give feedback for ALL CARPETS? We have an online feedback form. We always love to get feedback to become a stronger cleaning team. Prices vary for all of our services but we are very competitive and offer the best prices in Australia! We have a price list on out home page that lists most prices. If you would like to get a quote please fill out fast and easy online form and we will get back to you shortly with a price quote. We guarantee our work and will address all complaints immediately as long as the complaint is made within 48 hours of the time the job was completed. Our goal is to make you happy, and we provide quality work guaranteed. Do you guarantee my bond back? 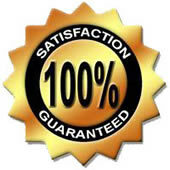 We do offer a bond back guarantee for an additional $50 upon payment. We have a 95% success rate with people receiving their bonds back however we do not guarantee you will get your bond back after the regular cleaning service cost. How should the cleaning team be paid? The card holder must be present but we have a portable credit card machine that you can use when the service is complete. Do I pay before or after the cleaning? Payment is taken after the cleaning is complete. What happens if myself or my real estate agent isn't satisfied about the work done? We guarantee our work and will address all complaints immediately as long as the complaint is made within 48 hours from the time the job was completed. Our goal is to make you happy, and we provide quality work, and we guarantee it! How do I book my appointment with you? You can book you appointment online 24 hours a day, 7 days a week. After filling out our online form we will get back to you shortly to confirm your requested time. Do you offer 24 hour immediate response if I have an emergency? Can I change the time of day I made my appointment if something comes up? We advise that you do your best to keep the time your scheduled your cleaning appointment because our cleaning team sometime has to travel far to get to you so if you cancel last minute there is a chance they are already on their way. We want to cater to you and make sure you are satisfied so please let us know at the earliest convenience and we will do our best to reschedule the work to a later date that works better for you. Yes we work most weekends and holidays, please contact us and we will let you know if we can clan on your preferred day ! You can book you appointment online 24 hours a day, 7 days a week. After filling out our online form we will get back to you shortly with a quote and to confirm your requested time. What if I need to change my service time or day? We require at least 48 hours notice for cancellation. It is important you let us know ahead of time that you are cancelling so we have time to re-direct out cleaning team. No, our team is happy to provide all the cleaning products and equipment. Can you clean for me the same day I book my appointment? Yes if we have an opening we can book you in same day! It is fast and easy with no estimate required ! Weather you are moving in or out, or just simply trying to get your bond back you will be saving money getting your house professionally cleaned by us! Often people try to save money cleaning themselves and it is never up to the standards required, ultimately you will end up loosing money. Hiring us is always in your best interest ! We will leave you happy and satisfied with whatever the outcome may be. We guarantee to clean your carpet to Australian Standard 3733. And We guarantee not to damage your carpet. What happens if myself or my real estate agent arent satisfied about the work done? 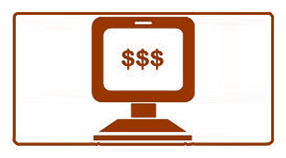 Usually we will able to give you an indication of the cost over the phone / internet. This should be considered as an estimate only, to be confirmed upon a site visit. When we arrive to look at your job we will provide you with a "no obligation" estimate before we start any work. If this estimate is acceptable we will in most cases get on with the work there and then. Yes, we send our supervisor to periodically check the cleanings for quality control, we always guarantee your satisfaction and want you to be 100% please with our work every time ! Yes, we are fully licensed, bonded, insured and carry workers compensation, copies of which are available upon request. When the cleaning team arrives what if I change my mind on what I would like them to do? Why do I need to get a custom cleaning quote? Every building and cleaning requirements are different. We approach individually each customer. Our cleaning services are customisable to fit your needs and budget. Do you provide anything in writing? Yes. Your custom cleaning plan is in writing. It's our written promise of service to you. This provides both of us with a valuable reference tool as we strive to be consistent and reliable each and every time. Yes if you request a receipt we are more then happy to provide you with a detailed written receipt ! In order to bring your space up to Clean ALL CARPET Standards, the first cleaning (or a visit occurring more than three months after our last visit) will take longer so that we can give your home that deep cleaning it needs. Homes that have not been cleaned in a while or homes with pets will take longer to clean. Visit our SERVICES page to learn more about what an initial cleaning entails. Can you clean my home just once or does it have to be long term cleaning? While most of our customers prefer bi-weekly cleaning on a regularly scheduled day, we also clean homes more or less frequently or as needed basis. How will out relationship work? Communication is important for any relationship including ours. We understand we must earn your trust during every visit. It's why we're so flexible, offering customised cleaning service plans designed with your needs in mind. No contracts. No hassle. Establishing this open communication and being flexible ensures your satisfaction as a long-term customer. If I have a special situation can you help? We sure can! Let us know the particulars or your specific situation and we will tailor a cleaning plan for you. How long will it take to clean an average home? All homes vary because each home is different. 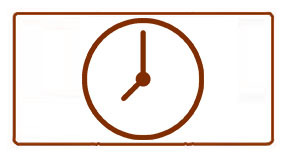 We can give you a better idea of time if you fill out our free online form to get a quick quote ! Every cleaning franchise works to meet the local community's need for a balanced life and clean home. That means outside of offering green cleaning services, we refill bottles, use less product and protect our residential housekeepers and customers from unnecessary exposure. Demand and availability determine whether our maid service franchises stock green cleaning products. What does green housecleaning mean? Green cleaning involves the products, methods and business practices employed by companies to promote both a healthier home and world environment. Green cleaning products do not contain ingredients with ozone depleting substances or flammable chemicals that may irritate skin. Truly green products do not kill harmful bacteria and germs. Companies with green cleaning services should use highly-concentrated cleaners that require less product, as well as employ business practices that encourage using recyclable packaging. Consumers must watch out for "green washing," a term used by environmentalists to define companies that falsely advertise environmentally-safe products or services. What does green washing mean? Green Washing applies to the cleaning industry when companies advertise green cleaning services that don't reduce the impact placed on the environment. For example, some companies may place bleach in a recycled container and call it a "green" house cleaner. While containers with recycled-content help the environment, consumers are mislead to believe its contents are also environmentally-friendly. We believes ein an open, honest approach to help you find the right balance between environmentally-safe products and a clean, disinfected home that protects your family from unhealthy germs. Yes ! Contact us and we will do everything we can to get your home cleaned last minute ! What if the job was not completed? You have 24 hours to report any incomplete work and we will send someone back to complete the job. If you fail to report an incomplete job within 24 hours, we are not held liable. What if the cleaning crew arrives late? We try our best to arrive on your scheduled time, however, if this happens you will receive discount depending on the situation. Please let us know when this happens. Your satisfaction is our highest concern. Yes. All you need to do is ask and we will gladly provide you with references ! Do you need to come to my home to give an estimate? No, you can fill out out quick and easy online form to get an estimate right away ! You can fill it out anytime 24 hours a day 7 days a week. No! We will give you a free estimate no hidden fees or charges! You can schedule your cleaning Monday-Sunday.We understand that a lot of people are at work during the week and it makes it hard to call and book an appointment during regular business hours. That is why we offer our quick and easy online foam! You can make an appointment or get an estimate 24 hours a day 7 days a week. We have an quick and easy online form for you to fill out for an estimate! It should take you less than 5 minutes and then we will get back with a response asap ! Do I have to be home while having my house cleaned? We recommend that you are home but if it is not possible for you we will work with you to figure out a solution. If I would like to get a gift certificate for a friend. How do I do that? Call us to order gift certificates. Gift certificates can be customised to your special occasion. If you hire someone to exclusively clean your home, you become an employer and they become an employee. This means you need to deal with taxes, citizen status, etc. Doesn’t this sound like more work than is needed?. All carpets handles the everything for you making it all fast and easy and most importantly worry free! If you're interested in working with all ALL CARPETS please contact our office to see how you can apply. Our staffing needs vary, but we do keep resumes on file when positions open up. Can I schedule a specific time for my cleaning ? If you request a time for us to be at your home, we will do our best to accommodate your wishes. As we clean multiple homes during the day, sometimes we can fall behind if a customer needs extra attention or another unforeseen event occurs, so we might not be able to come at a specific time, but we will try our best. Can I request the same cleaning team? If you were particularly happy with a certain cleaning team we will do our best to make sure to send the same team for your next appointment as well. We strive for your satisfaction and to accommodate your requests. What does your residential cleaning entail? We cover all the following. 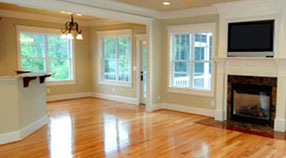 We are a highly competitive and value-oriented property maintenance company. We have a strong cleaning service-driven reputation for delivering the high quality services at a competitive price. We are the best choice in Australia for all your cleaning and maintenance needs for small and large facility clients! We are very pet friendly and deal with pets on a daily basis. Together we can make arrangements and be weary and careful to keep them in their designated areas. Yes! We only use 100% environmentally friendly and safe products. We take pride in protecting the environment, you and your loved ones. Weather you have an infant or allergies the products we use are safe for everyone. What areas do ALL CARPETS serve? We serve and cover all suburbs. What happens if someone gets injured in my home? We are always very careful and provide out staff with the best possible training to avoid all injuries. 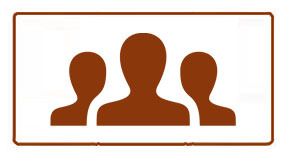 Everyone is covered under our Worker's Compensation insurance. Almost all home-owner's insurance policies do not cover service workers that injure themselves in your home. However, if you speak with your insurance agent you can add on an additional rider to cover such accidents. Although, using our company enables you not to have to incur that expense of the additional rider. What should I do if something is broken while your team is cleaning? It is very rare that anything is broken but we understand that accidents do occur at times.It is important to remain calm and contact us at the office. We will be glad to quickly resolve the matter to your satisfaction. Can you help me file my flood or fire claim? Yes! We are more than happy to help you fill out your claim, we can also offer some helpful advice on how to navigate the insurance maze and provide a detailed receipt of services performed. Will cleaning my carpet regularly help my allergies? Yes absolutely, if you suffer from allergies we recommend having us serve you on a regular basis. We can keep you carpets clean of dust mites, pollen and animal dander to make your home a more comfortable place for you to live in.